CBD For Life produces highly innovative, natural, luxurious, and effective Cannabidiol (CBD) infused pain management and beauty products using 99% pure CBD extract derived from stems and stalks of industrial hemp. These revolutionary formulas combine CBD with nourishing essential oils and other active ingredients to aid in reducing pain, inflammation, and stress while promoting anti-aging, rejuvenation, and vibrancy. 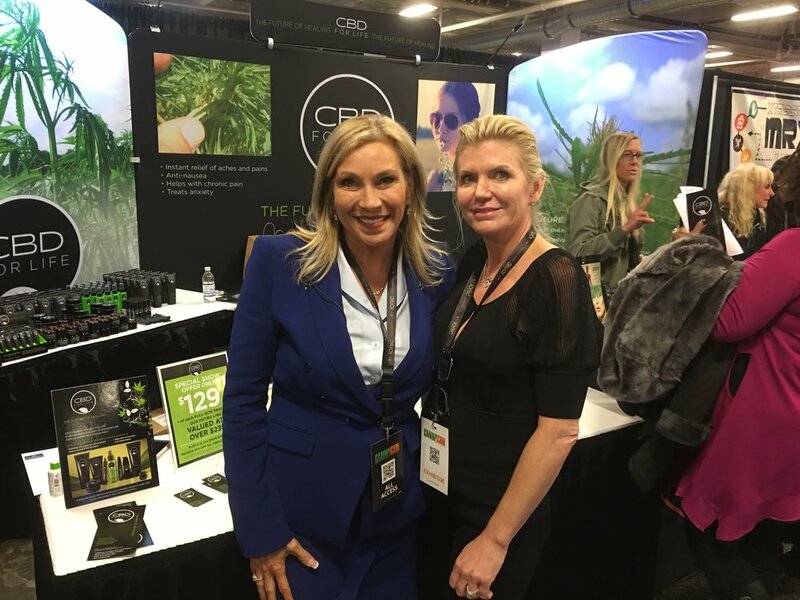 CBD for Life’s founding partner and CEO, Beth, learned about the wonderful healing properties of CBD. She infused CBD with essential oils to create a rub that would help manage her chronic back pain caused from scoliosis of the spine, a condition she suffered with since her early teenage years. Beth felt immediate relief from the rub she was applying daily. As a wonderful side effect of using the rub, Beth noticed a significant improvement, clearing and softening of her skin. After months of extensive research she met with a chemist to create these luxurious formulations, and two years later CBD for Life was born! We are very proud to support this woman owned and operated company!